No wrong side! 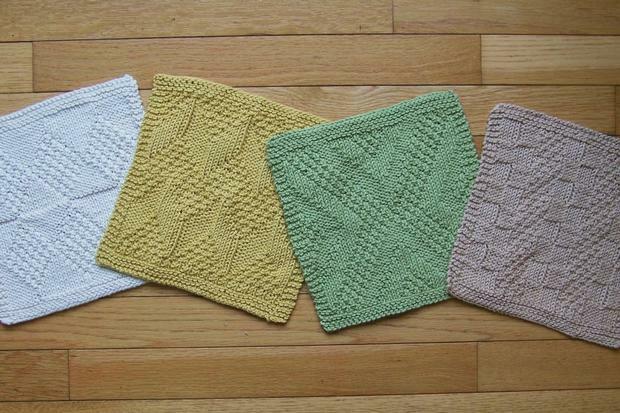 Four different dishcloths (or washcloths) that appear to be the same pattern on both sides! Coordinate with the Really Reversible Towels and the other Really Reversible patterns. 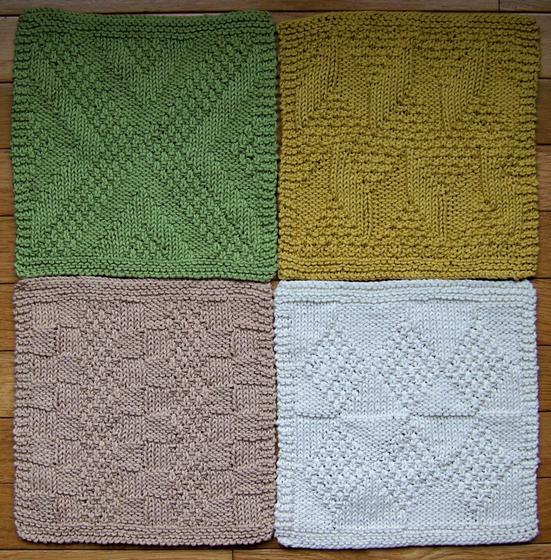 Collect all the sets for a total of 12 different reversible patterns. 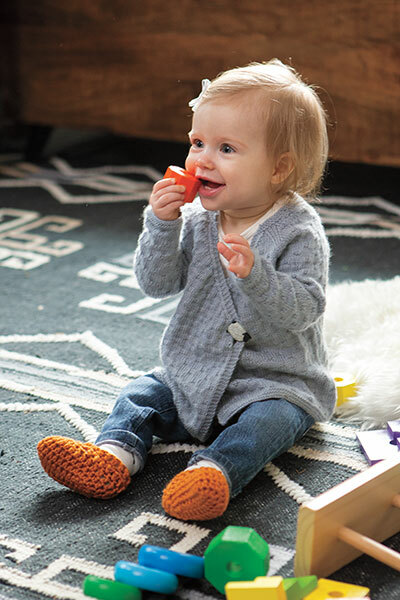 No tricky stitches to learn - just a combination of knit and purl to create geometric designs in 100% cotton worsted weight yarn. 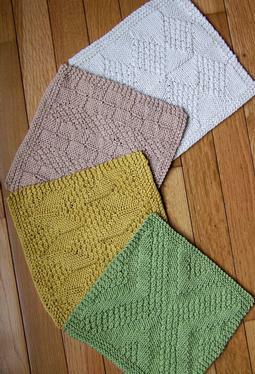 Four colors are shown - each dishcloth takes about 75 yards of yarn.